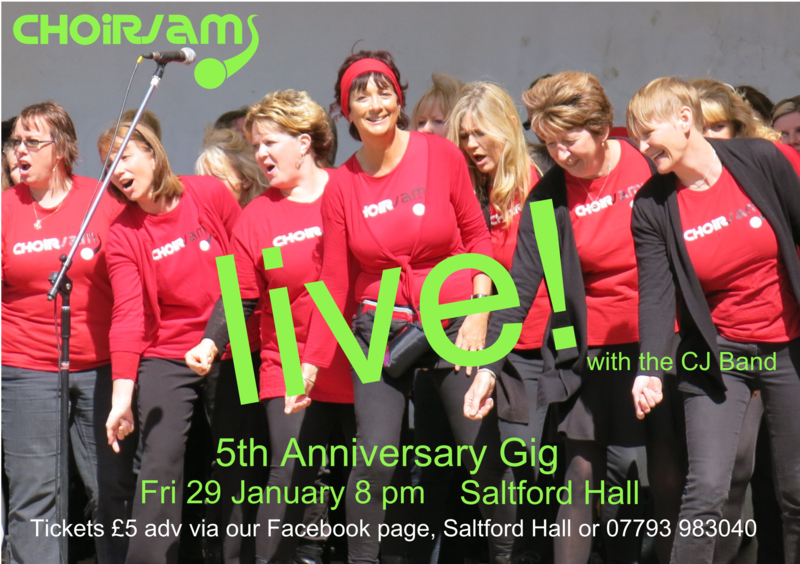 ChoirJam is five years old! 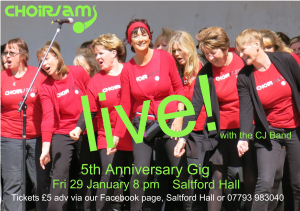 We are celebrating with a fab live gig with our CJ band at Saltford Hall on Friday 29 January at 8 pm. Come and celebrate with us! We’ll be performing a mix of pop songs old and new and laughing our way through the whole thing (as usual). This entry was posted in Events on 26/01/2016 by emzzzzz25.